Is your fence damaged or broken? If yes, don't put it off for a later time or leave it that way for another day. Instead your best option is to call the pros to get immediate assistance. ​We have repaired, replaced, and performed minor fixes on fences all across Kyle, San Marcos, Austin and Surrounding areas. Our team has accumulated years of invaluable experience and will be happy to help you with all your fence repair needs. 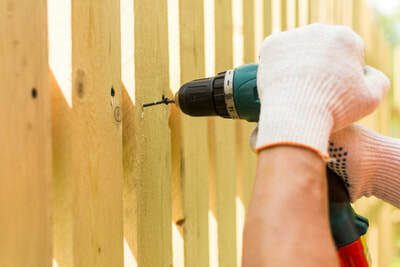 Fence make perfect enclosures for many properties and yards but after some time they usually require some kind of repair. Our technicians can handle most types of issues ranging from basic repairs to more complicated ones. Whether you have a privacy fence, a chain-like fence, or a simple picket fence, we always know what to do to keep your fence in perfect condition. 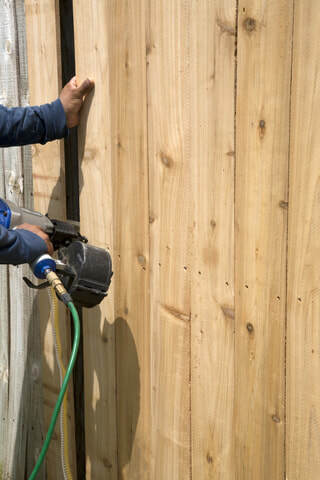 Call us and you’ll get your fence repaired in no time since a couple hours are usually enough for the most common fixes. Don’t leave your fence broken: this is not only unsightly but can also cause some security issues. 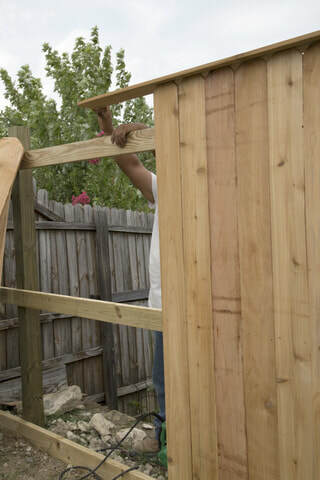 If you are looking for a fence repair company near you in Kyle, look no further and contact us now. Outdoor elements will cause damage to your fence which is why we offer a wide range of services to help you with fence maintenance. If you are tired to seeing your old gray fence and want someone to make it look like new again, we have the solution for you. You will spend a lot less than if you paid for replacing your entire fence and you will give a new life to your existing fence. The goal is to beautify your home, and especially its outdoor area, thus increasing the value of your property with minimal spending. Your fence gate doesn’t close properly? Are you faced with a leaning fence? In every situation, our fence repair technicians are able to find professional solutions that will solve the problem for good. ​We will do everything in our power to accommodate your needs and provide you with the best service possible. There is no minimum service charge and we will accept any project, big or small. Our company is specialized in fence and gate repairs of all kinds. Our prices include everything: labor, materials, and removal. We have designed our price list so that every local resident can afford us. Competitive doesn’t mean our prices are cheap but rather priced to optimize the quality/value ratio. Old fences will be taken to a local recycling area where they will be ground up and used for other purposes. We always take your budget into consideration to offer the best choices possible. We guarantee that we will perform high-quality repairs when we come to your property. Get in touch today at 512-399-1078 to get a free estimate. Our operators will gladly assist you to book an appointment.